This 5-week series is unique among MCRRC’s training offerings because we are shorter and leaner than our program “cousins.” We will meet only on Saturdays, and there are no extras like shirts or award dinners. However, there will be solid coaching, pacing and instruction for every run. These are NOT PAVED trails. Instead, in the spirit of trail running, there is plenty of dirt, rocks & roots….along with creeks, trees, wildlife and beautiful scenery to enjoy! We will focus on helping runners become more comfortable running on increasingly rugged terrain, as they explore a series of local trails. Our series will wrap up with us all running the Farm Park Challenge which is a unique trail racing event and one we hope many of our participants will run. Registration for this event is separate from our series but we will get a $15 discount off the normal entry fee. You will receive the discount code after registering for both the series and our yahoo group. This is where you’ll also get access to the training schedule. Cost Info: The cost of the program is $25. MCRRC Membership is required for participation. Everyone will need to provide their own water (required for every run), fuel and first aid supplies as needed. Anyone who wants to bring food or after-run treats for the group is welcome to do that on their own. The director and most of the pacers are certified running coaches and all are trail runners who will provide both general training advice and trail specific direction. We want to see you succeed and enjoy trails as much as we do! Dates: Saturday, April 6 (orientation/run) – Saturday, May 4 (our goal event) for which you will need to register separately. Orientation/1st Run: Saturday, April 6, 2019 at 7:30am. The meeting will be the first 20min before the first group run and take place at Rachel Carson Park, 22201 Zion Rd, Brookeville, MD 20833. All are invited back to the Foster’s home, 21608 2nd St, Laytonsville, MD 20882 for coffee, a light breakfast “recharge” and to meet and talk with the pace coaches. This pre-run orientation meeting allows you to hear from the directors & pacers who’ll give you a bit of preparatory information before heading out on the trails. Suggested gear to have at the start includes: sturdy running shoes (trail shoes aren’t necessary for this run), good technical running clothing, change of clothes for afterwards and a cell phone that you’ll carry with you. We will discuss other needs at the meeting. Goal Event: This year we will culminate our series by joining a unique trail event in our area, the Farm Park Challenge ($) as our final group run. Check it out at http://www.farmparkchallenge.com/. There is a cost, but as participants in this series you will receive a $20 discount off your registration (I will give you the code) for that event. You must register on your own. Distances: We will have 2 distances offered each Saturday with all runners doing the first part together at their respective paces. The mileage progression will be about 5, 6, 7, 8 and 10. People who want higher mileage will progress from 10, 11, 12, 13 and15. This will allow those who have more experience to still run with the beginner runners while both will get in an appropriate workout. Our goal event has different distances that will also allow everyone to participate and enjoy the party at the end together! Workouts/Pace Groups: We divide the group (each with pacers) into smaller groups of runners based on what you know your pace to be on the road. We will have loose groups, as trail paces are very different and it will take awhile to adjust to watching your footing; therefore, moving between groups is normal. All trails will be flagged and coaches will keep an eye out so that no one gets lost if they are between groups. The rest of our run schedule will be posted to our Yahoo! group. Participants NEED to join the group if they want to see where and when we’re running. 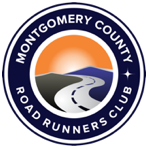 Participants are also required to join MCRRC-info, the club’s listserv for delivering important club information including race announcements or changes, track closures due to weather or other issues, etc. When joining any of the Yahoo groups, please include your first and last name in the “comment from user” field so that your membership to the group can be verified.